When Nathanael Johnson began taking his two-year-old daughter on nature walks in Berkeley, CA, he realized that he didn’t know the names of half the trees, bugs, and other creatures she pointed to. Even the most common urban animals – pigeons and squirrels – were a mystery to him. How did they manage to become so ubiquitous in the places that humans live? 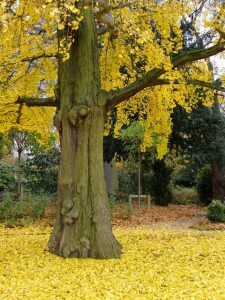 His new book, “Unseen City,” takes a close look at almost a dozen species, including ants, crows, and snails, as well as plants such as the gingko tree and edible weeds. 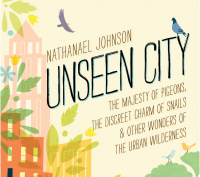 Johnson calls it “a guide to urban wilderness focusing in on a few city-dwellers so common that we stop seeing them.” He also explores some philosophical questions: to feed or not feed the pigeons? Why is “foraged food” associated with trendy restaurants, and not a skill we practice ourselves? Check out the trailer for the book below or listen to Johnson’s interview at KALW!